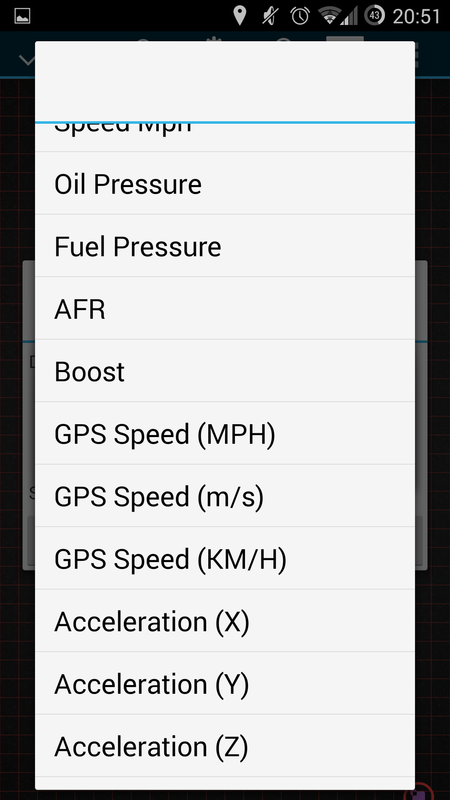 To update the dashboard in DTADroid Pro, follow these steps. Ensure the gauge you want to modify is selected as above. 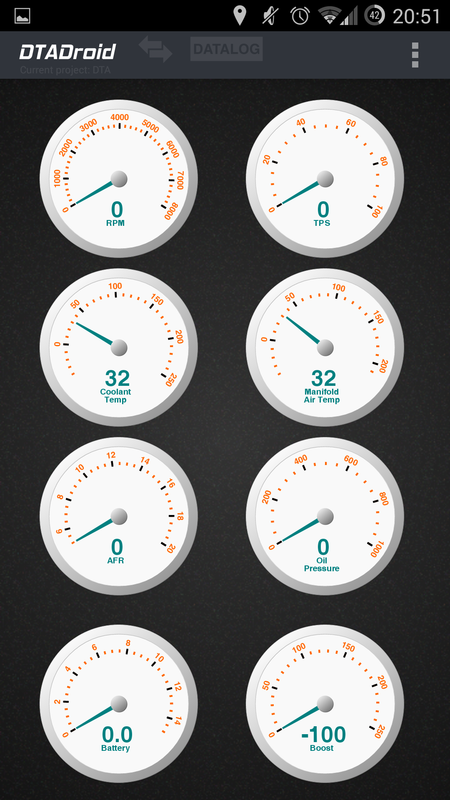 If you want to update a different gauge, simply tap the gauge you want. 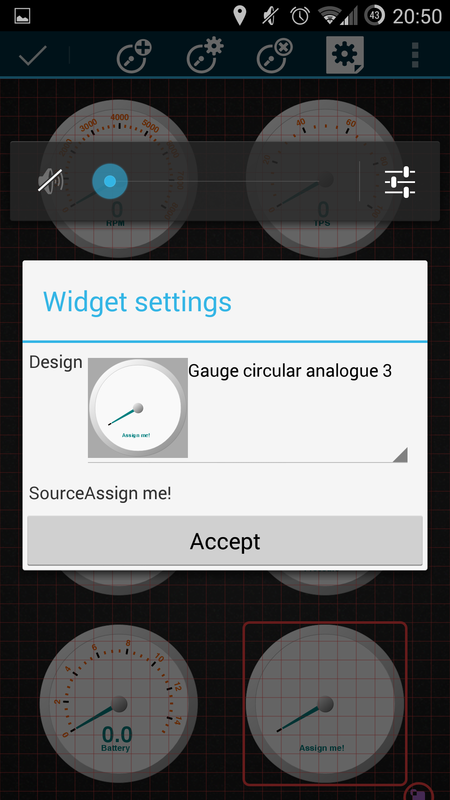 This will open the Gauge Design dialog. Tap on the drop down list just above the Accept button. In the screenshot above, this is titled SourceAssign me! 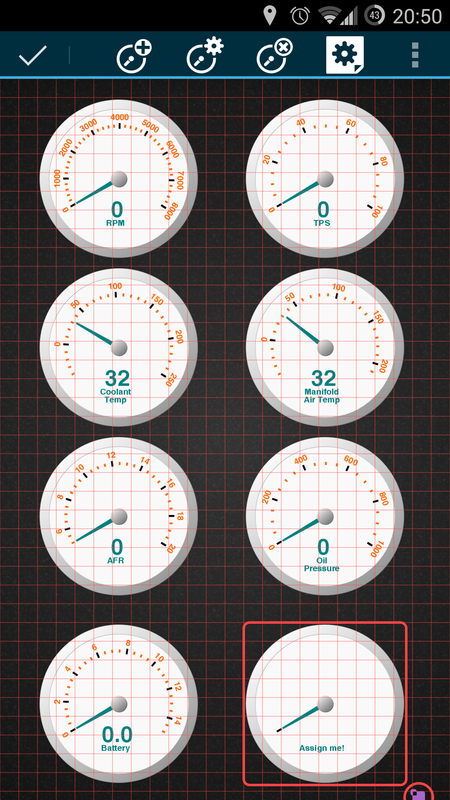 Now tap the main Gauges drop down list. 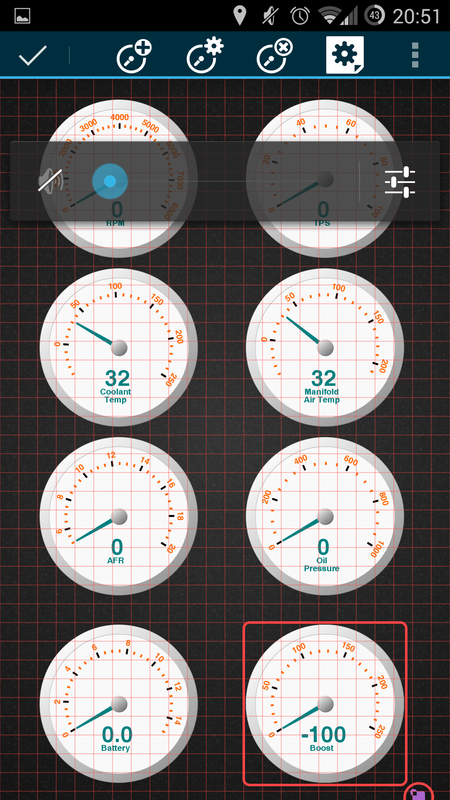 Now select the gauge output that you want to display. 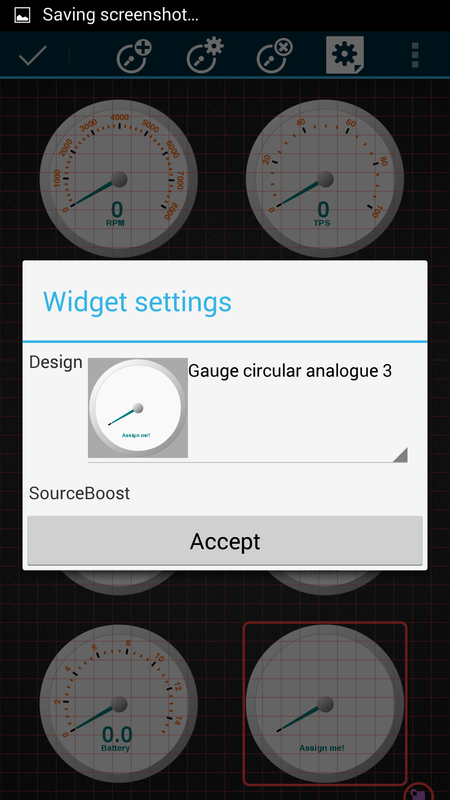 In this example, we’ll set this gauge to show boost. The dialog is updated to show SourceBoost. 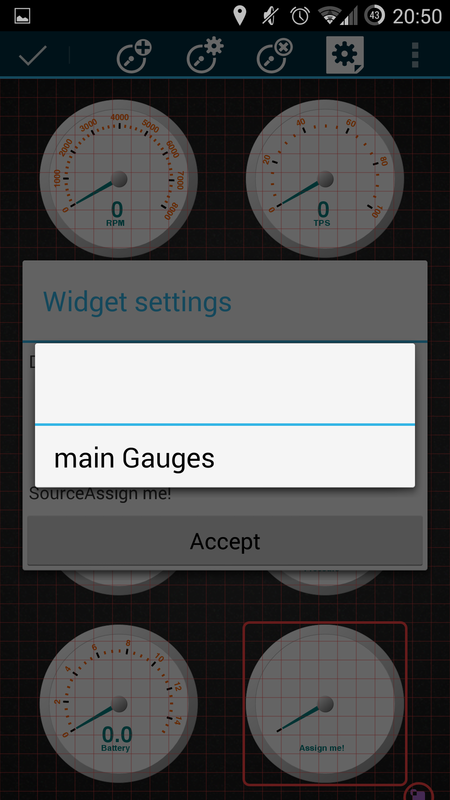 Repeat the above steps to modify other gauges if required. Tap the tick in the top left corner to accept the changes.